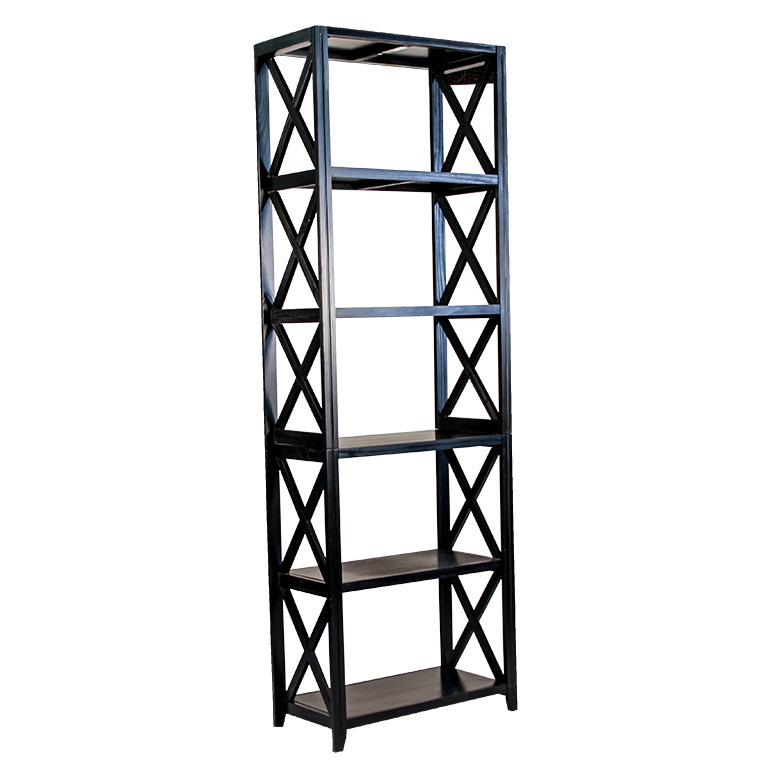 Bar Shelving is just the thing your party needs! It’s a beautiful way to display glasses, bottles, and more! At Peter Corvallis Productions we offer a variety of styles to match your theme or decor. The Glo Bar Pillar is an accent pillar for our popular Glo Bar! 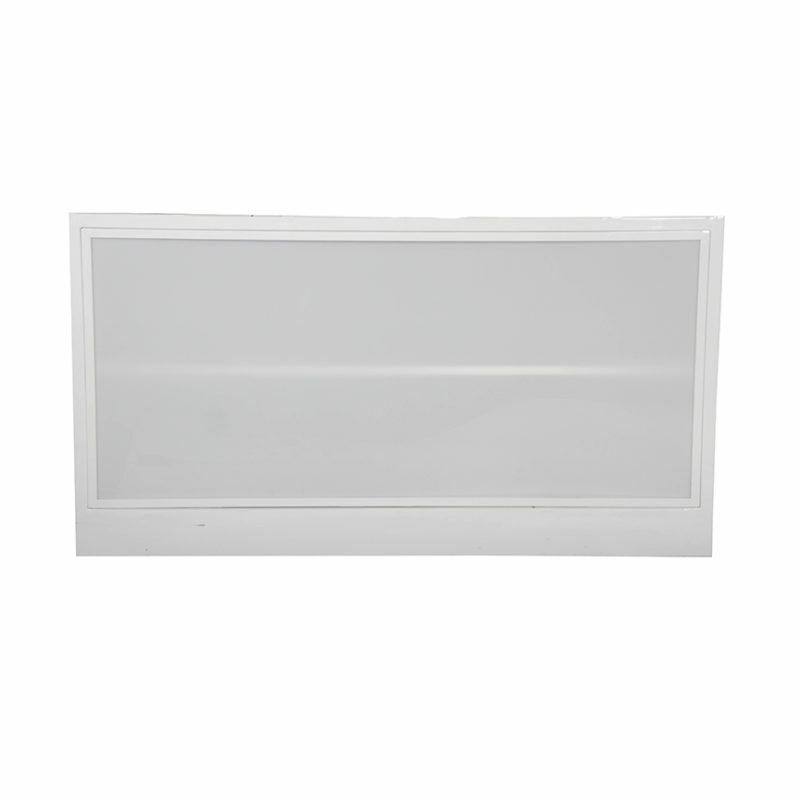 This piece acts as a side structure to hold accessories for drinks, and more. Like the Glo Bar it can be fully illuminated using a variety of colors! 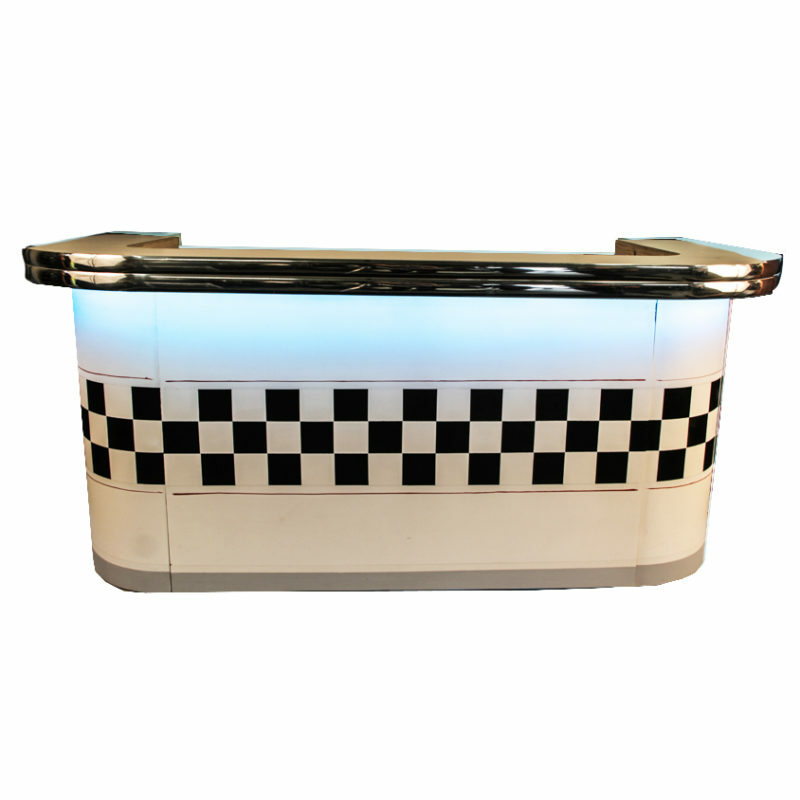 The Vinyl Bar is perfect for a sports themed event or summer party! The textured vinyl is waterproof and weather resistant making it the perfect outdoor accessory! Serve drinks on the fly with the Portable Collapsible Bar! Measuring 53″ W x 42″ H x 22″ D, this bar completely folds down when taken apart, perfect for beach events or anything where time is a factor! Don’t be caught with arduous labor and set up, the Portable Collapsible Bar is easy to assemble and use for those outdoor Portland BBQ’s. 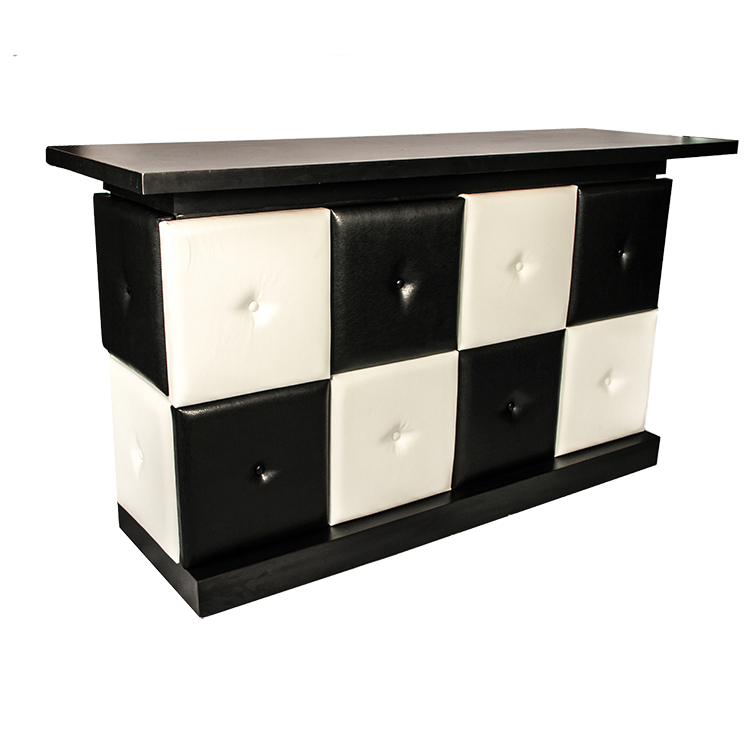 The Vinyl and Wood Bar is a freestanding single unit bar. 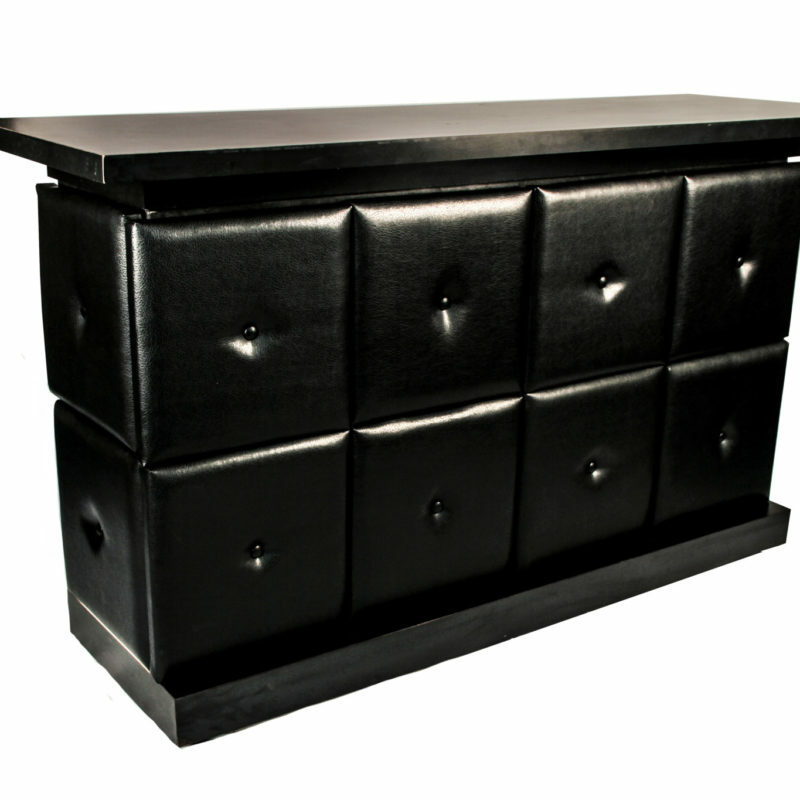 It’s decor would look beautiful in a speakeasy or 1920’s theme, and the singular unit makes for a wonderful accent bar, adjacent to a larger one. 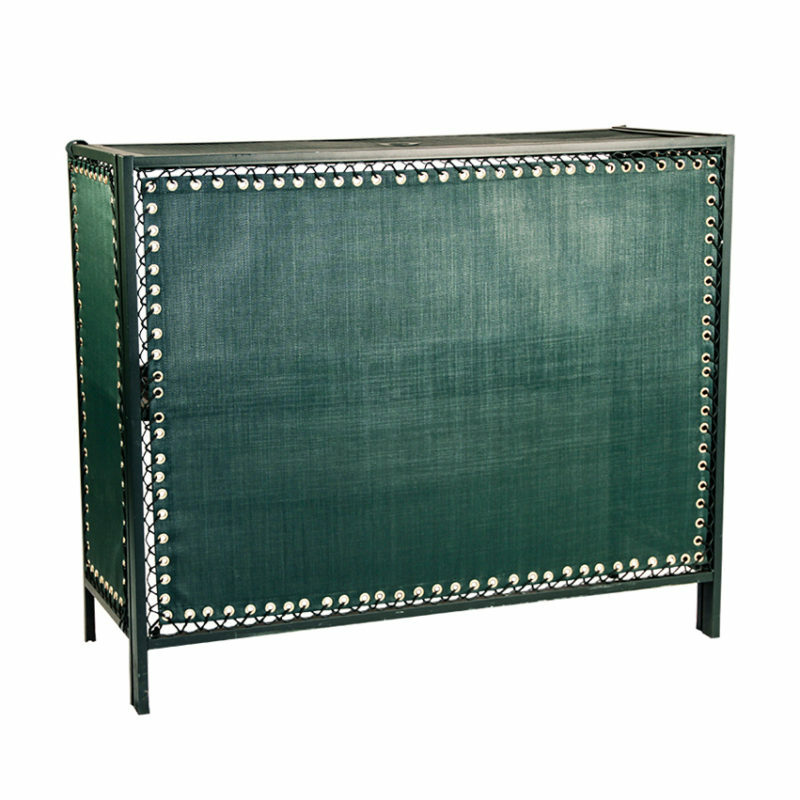 The vinyl fabric is tufted and and decorated with wood and metal accents. 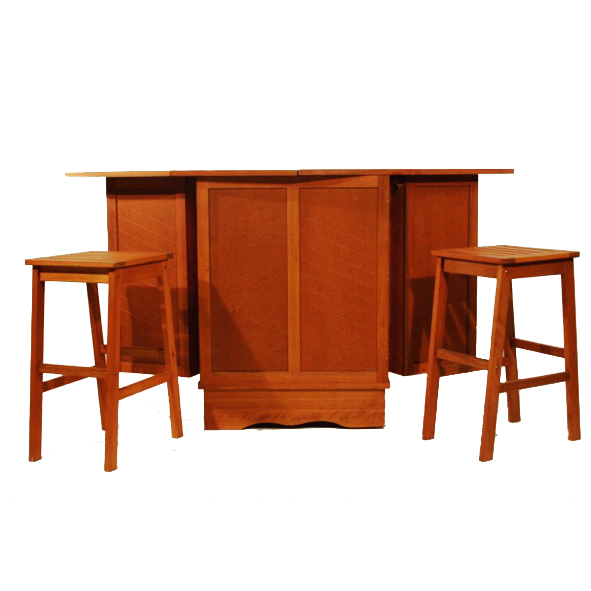 Keep the drinks flowing with the Vinyl and Wood Bar! 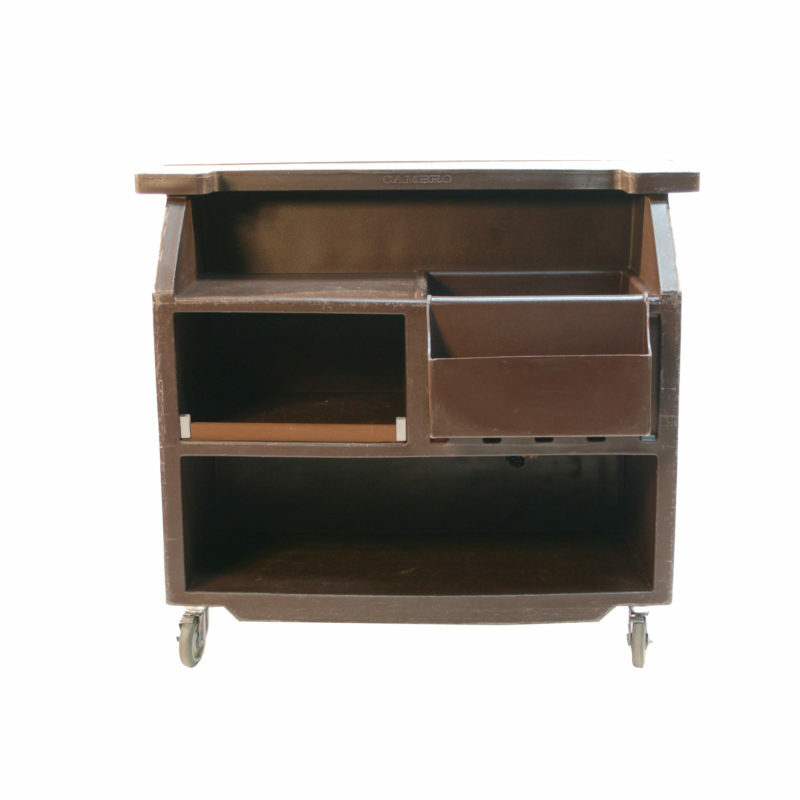 The Speciality Bar is a bar attachment perfect for elevating your guests experience. 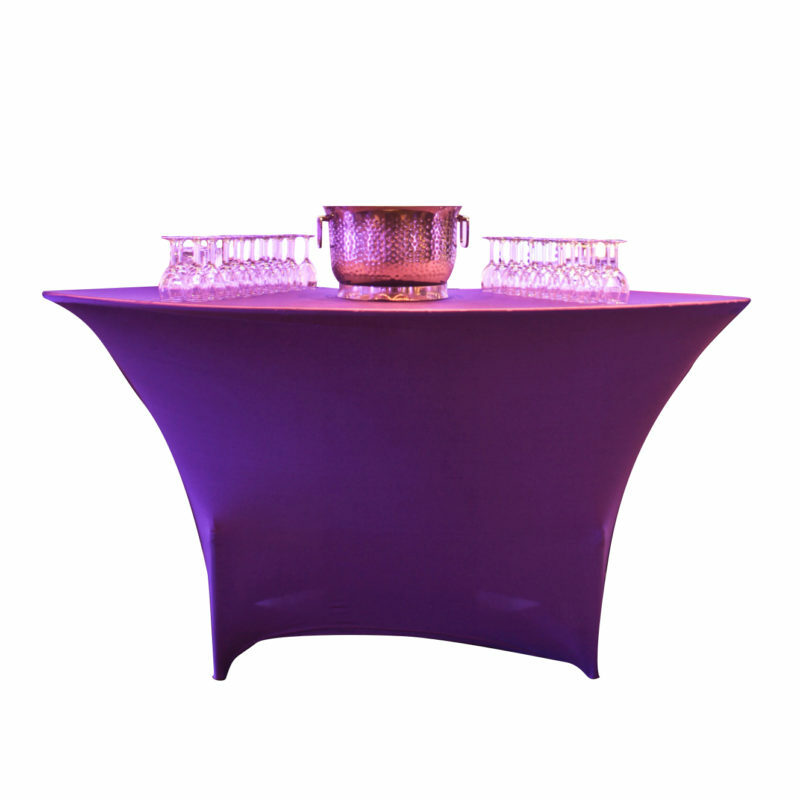 Pictured here with the serpentine table, the Speciality Bar is great for display and drinks at your next auction. 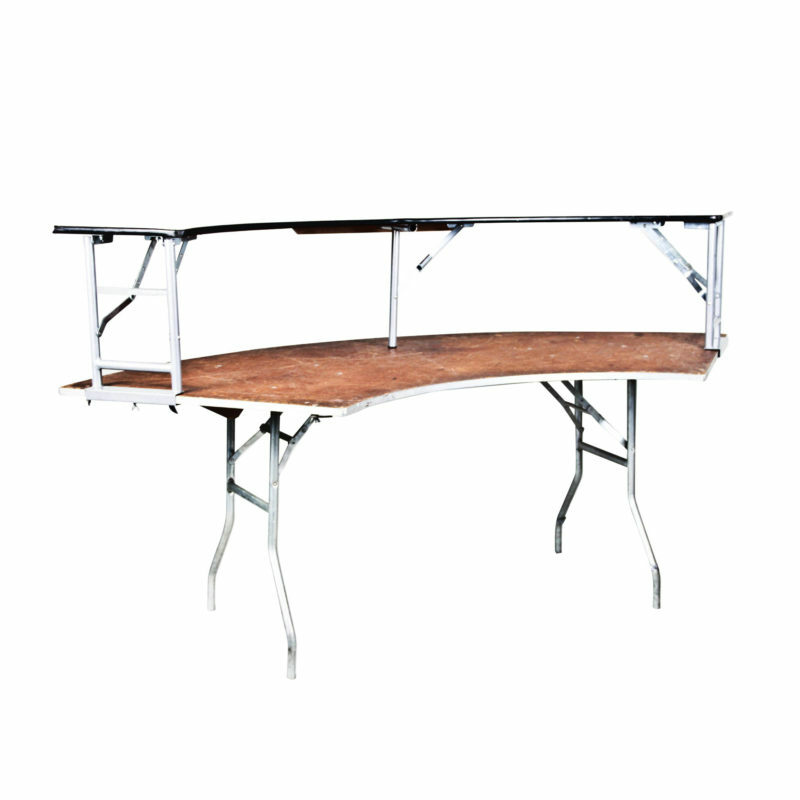 We also offer several sizes in our Serpentine and Banquet tables. The Spandex Bar is a beautifully economic way to turn any table into a bar! This form fitting spandex covers our most popular event tables – the Serpentine and Banquet, so you have all the possibilities for a beautiful night! Let one of our event specialists help you plan your next Spandex Bar rental. 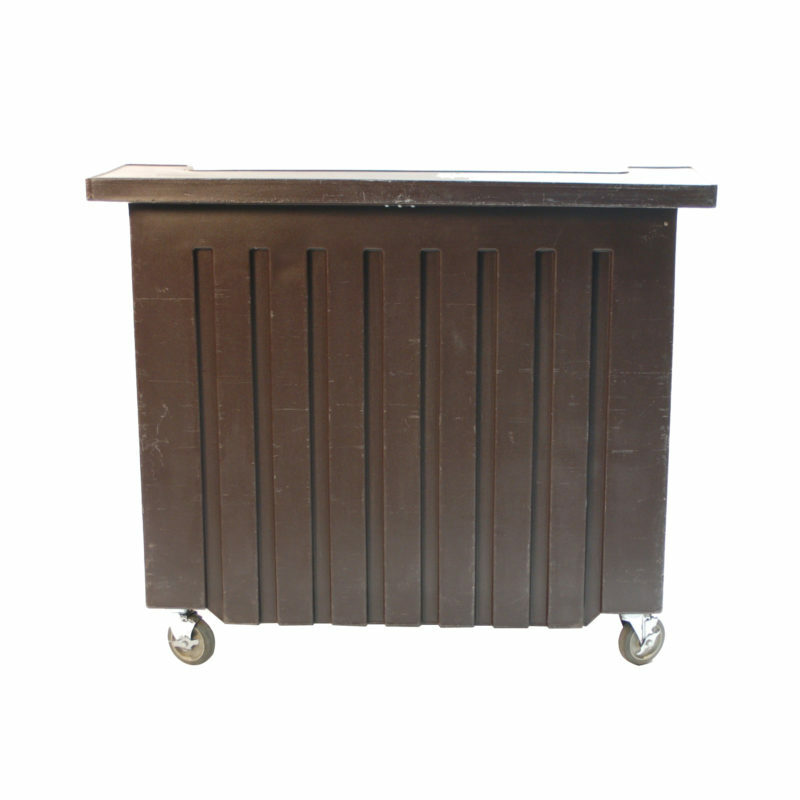 Take your party on the go with the Black Collapsible Bar! 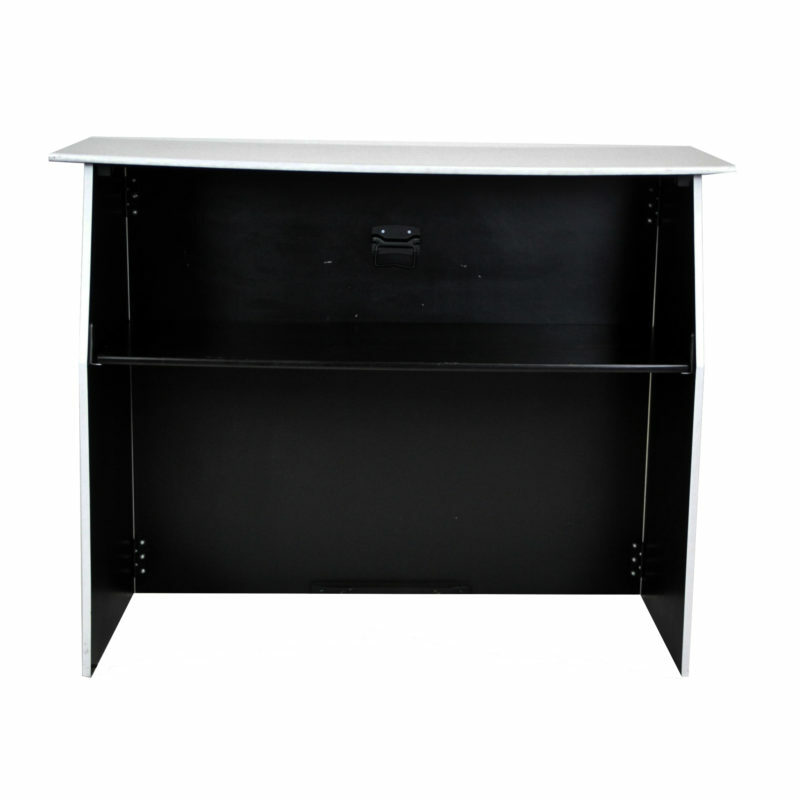 This easily transportable bar features an interior shelving unit perfect for cocktail supplies and a comfortable serving area for drinks and party accents. This table is also available in white and brown. The Glo-Bar lights up the night, and your guests’ hearts! 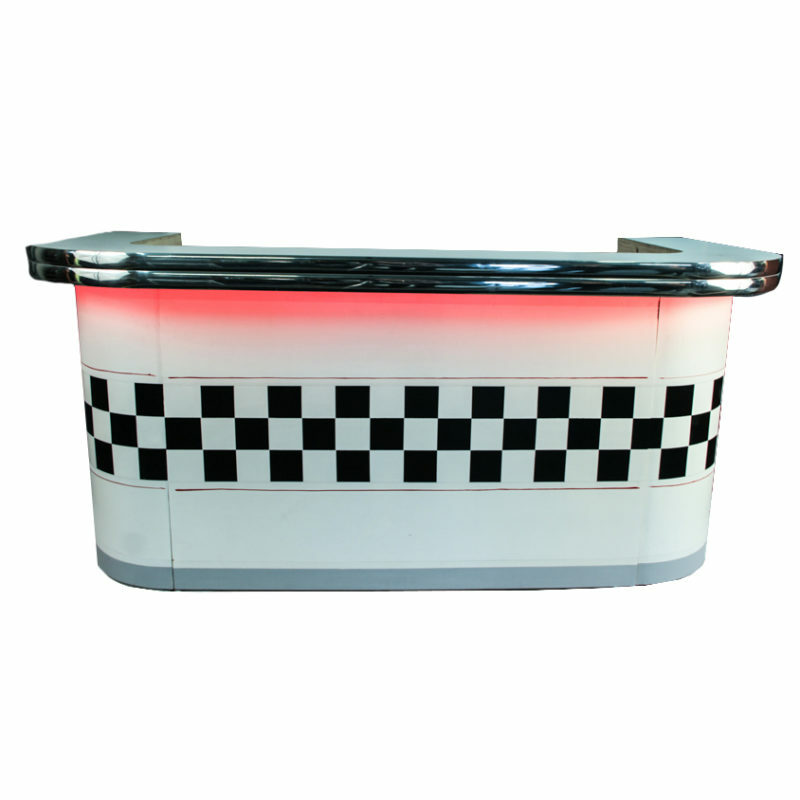 If you’re looking for a futuristic, fun experience look no further than our LED enabled bar! 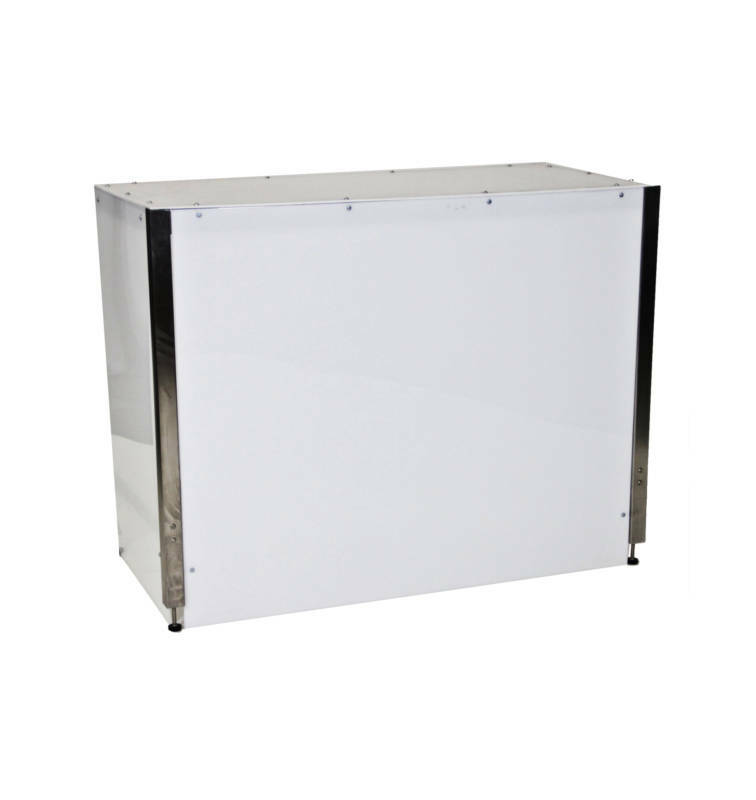 The White Rolling Bar is a fun, fully customizable bar perfect for events of all kinds. 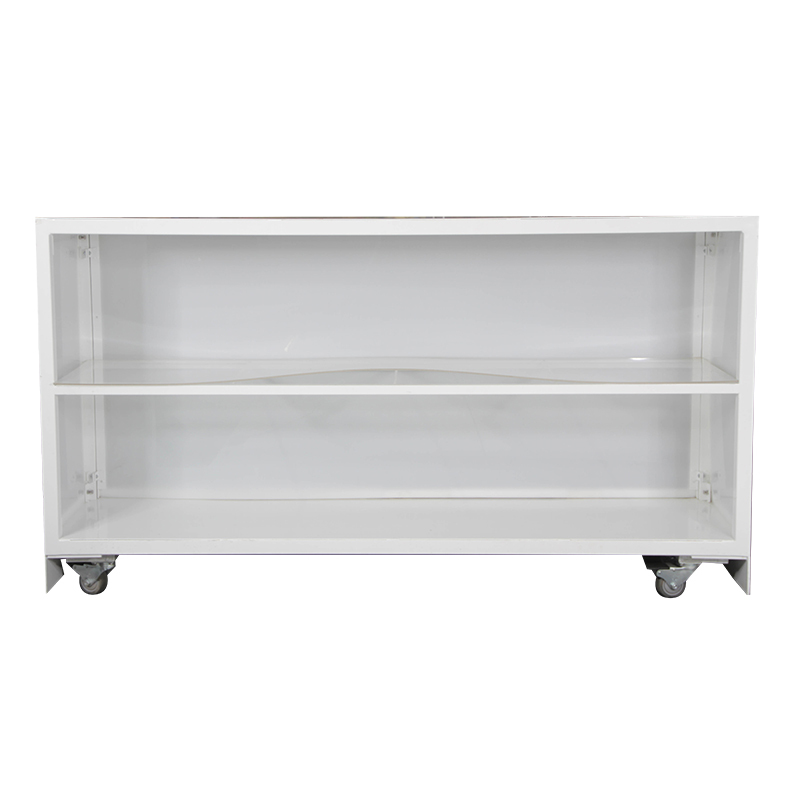 The two shelf bar is 6 feet long by 40″ deep and features wheels for ease of transport. Our prop department can even add custom detailing to front and size panels to bring your vision to life! 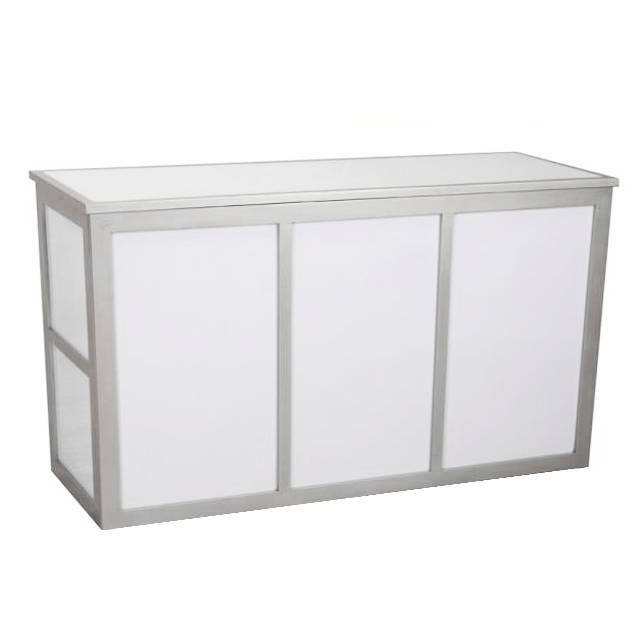 The White Lacquer Bar is a classic, contemporary bar option for your next corporate event or gala. 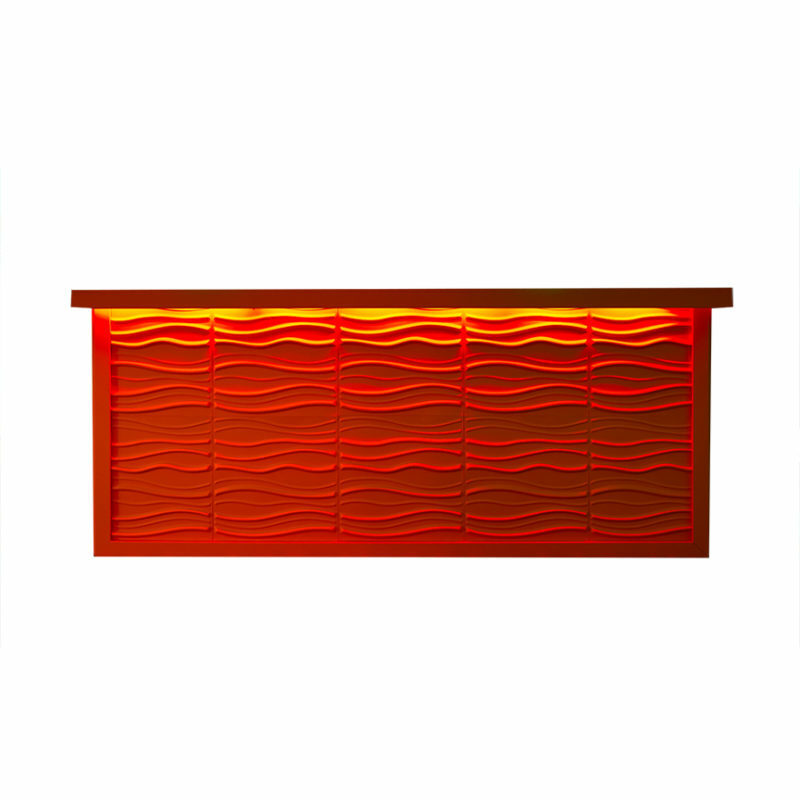 The Lacquer Bar features mirror or solid paneling and custom graphics can be created to complete the look! 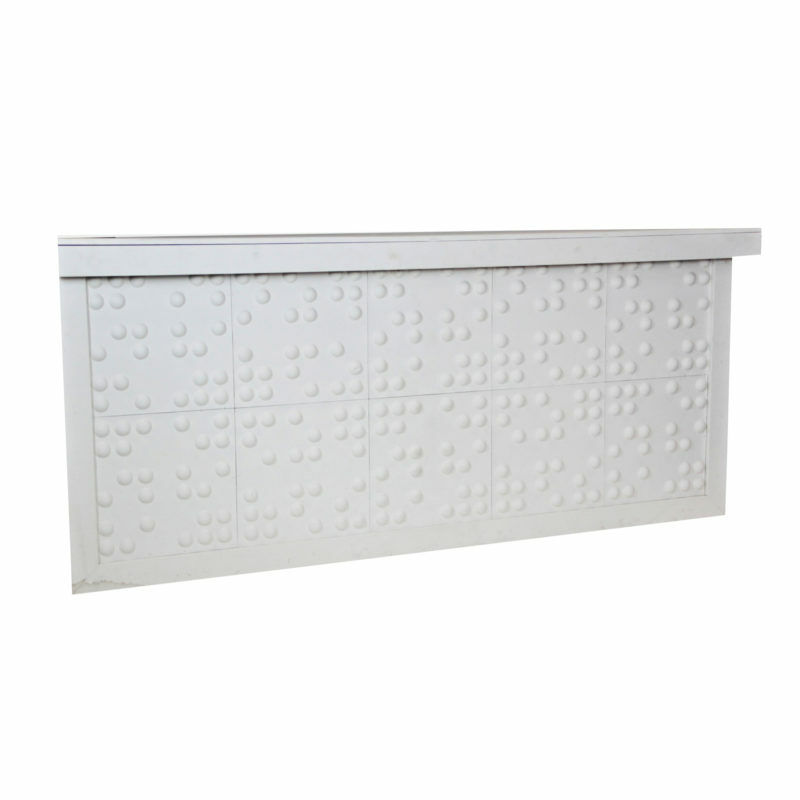 The Braille Bar Front is beautiful and chic, with a raised texture and white finish. This 3D effect will delight your guests and reflect light wonderfully. 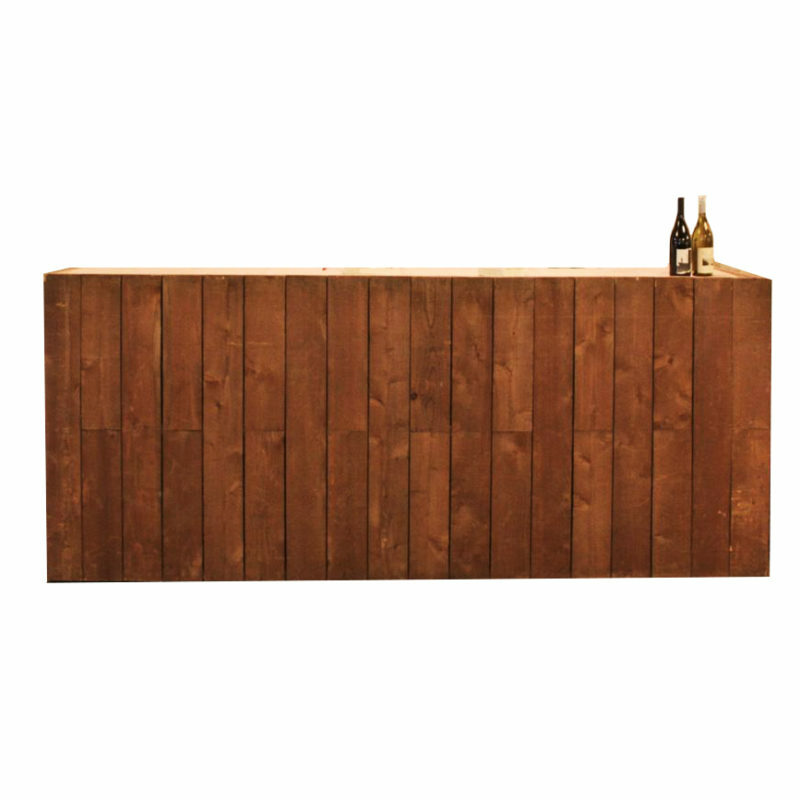 This bar comes in 8’L x 40” H sections, making it modular. 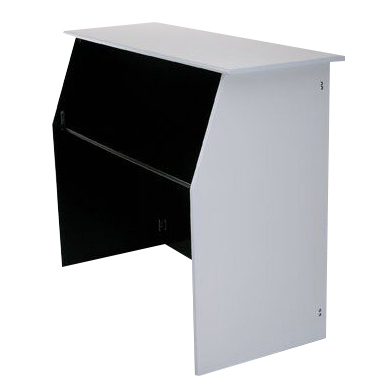 Let Peter Corvallis Productions help you build the Braille Bar to your exact specifications! 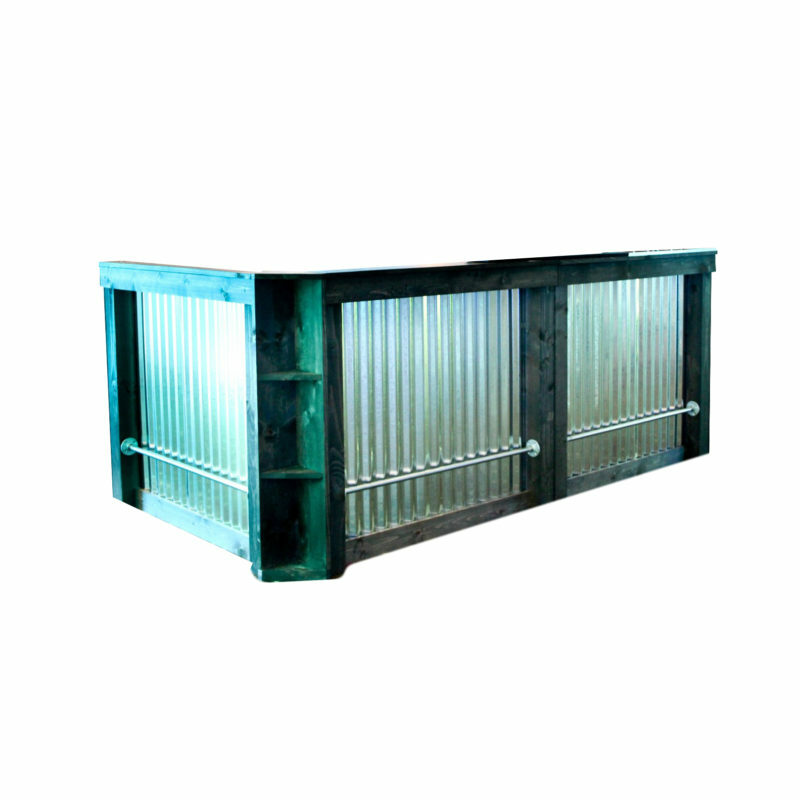 The Galvanized Bar is a metal industrial looking accent bar you’ll rent time and time again. 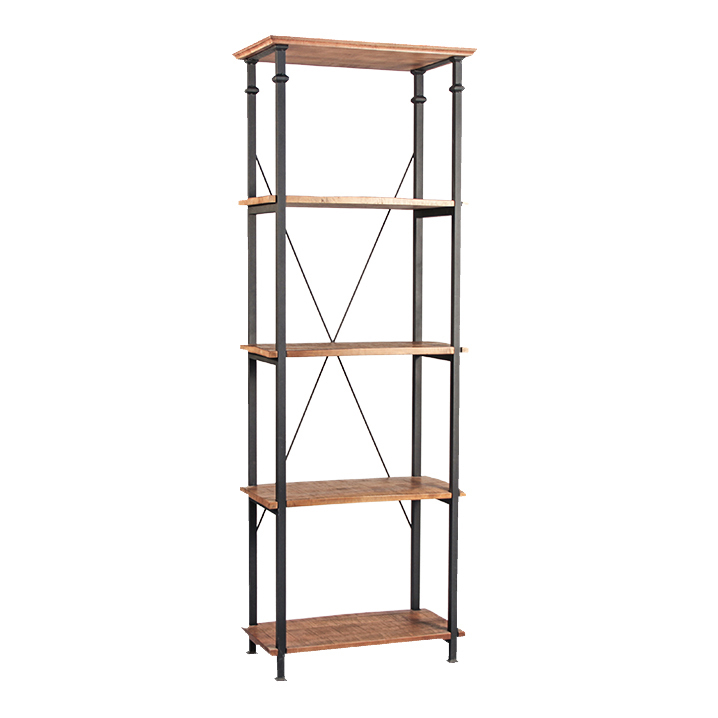 The metal is designed in a wave patterned and situated in a rustic wooden frame. 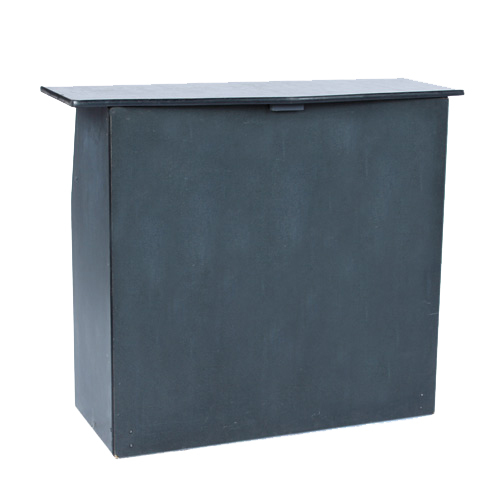 The bar itself is modular, 4′ L x 40″ H pieces, allowing you to customize the bar size to fit your event. 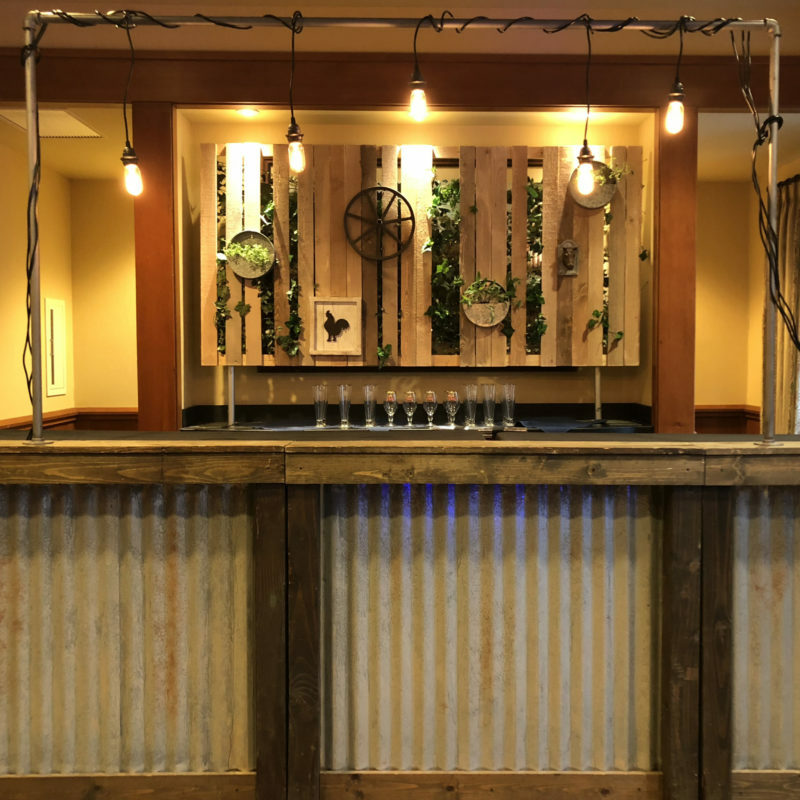 The Rustic Wood Bar features beautifully textured wood and dark wood accents, you'll be happy you rented! 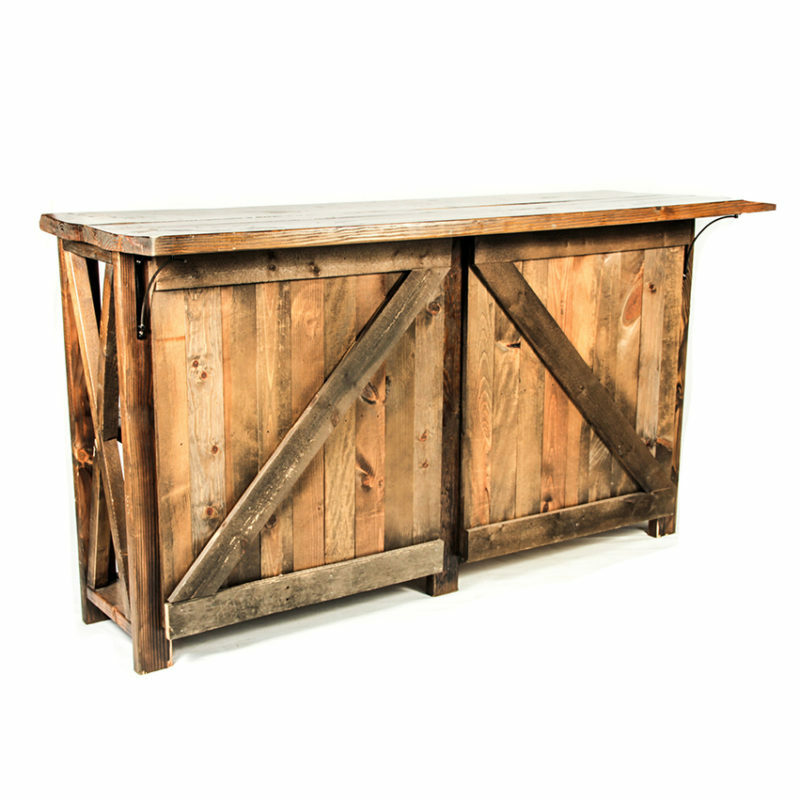 The bar measures 72″ L x 25″ W x 40″H and features overlaid wood pieces that take this bar to the next level! Let Peter Corvallis Productions help you plan your next event bar rental today! 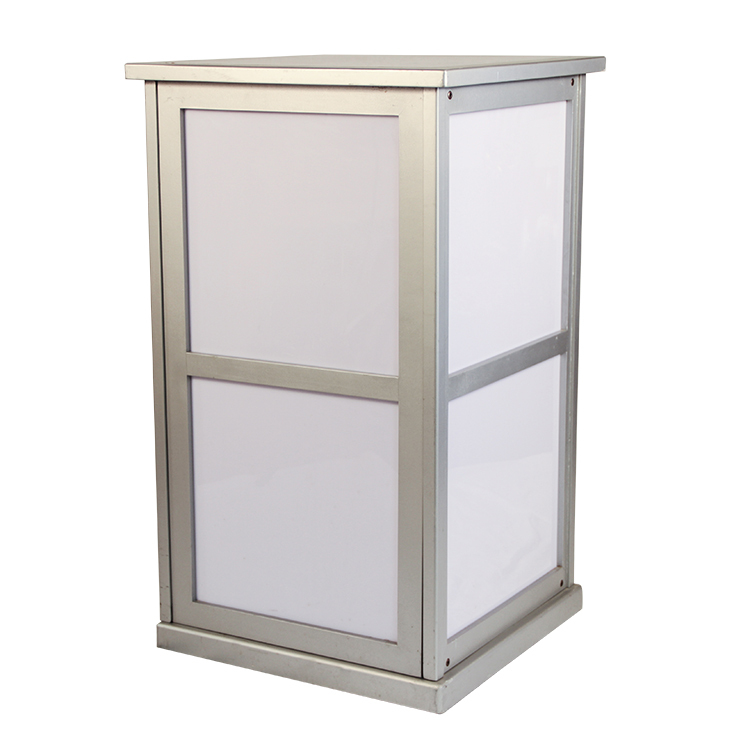 The Patio Slat Chrome Bar is a freestanding single unit bar. 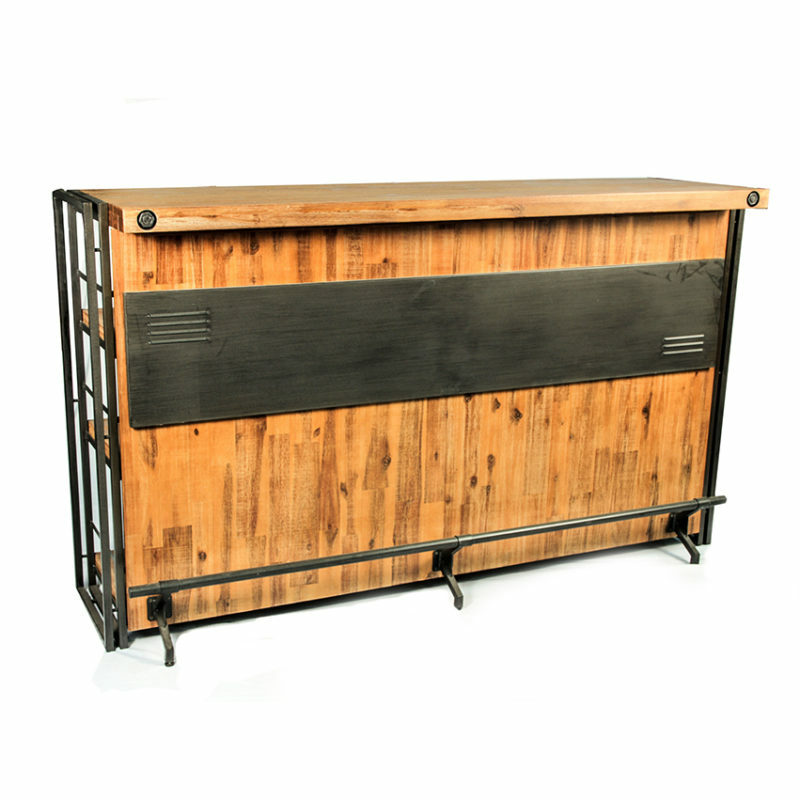 The bar measures 96″L x 30″W x 42″H and features both wood and chrome accents. 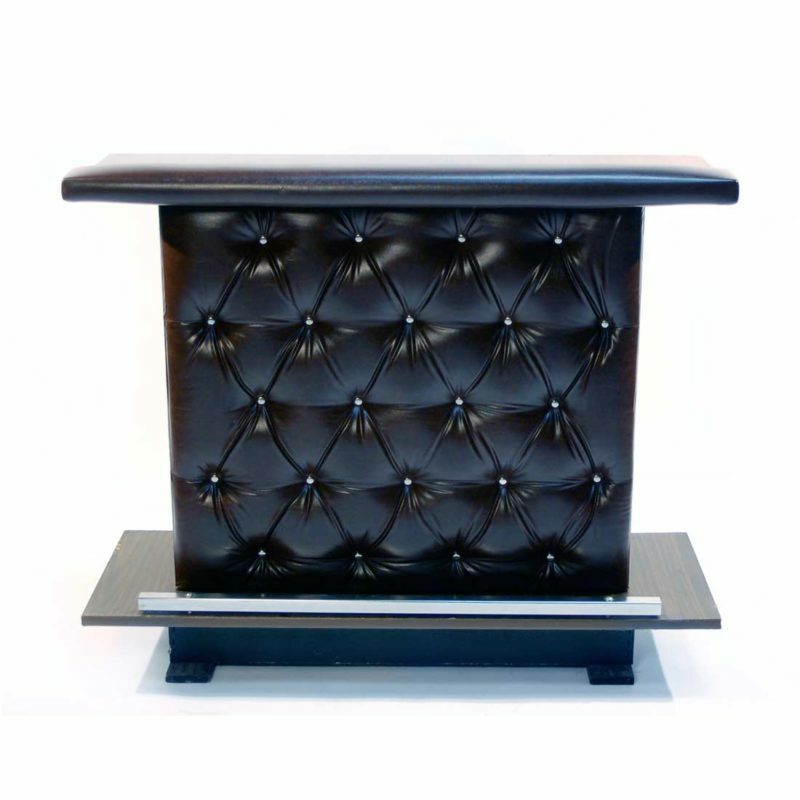 It’s decor would look beautiful in a speakeasy or 1920’s theme, and the singular unit makes for a wonderful accent bar, adjacent to a larger one. 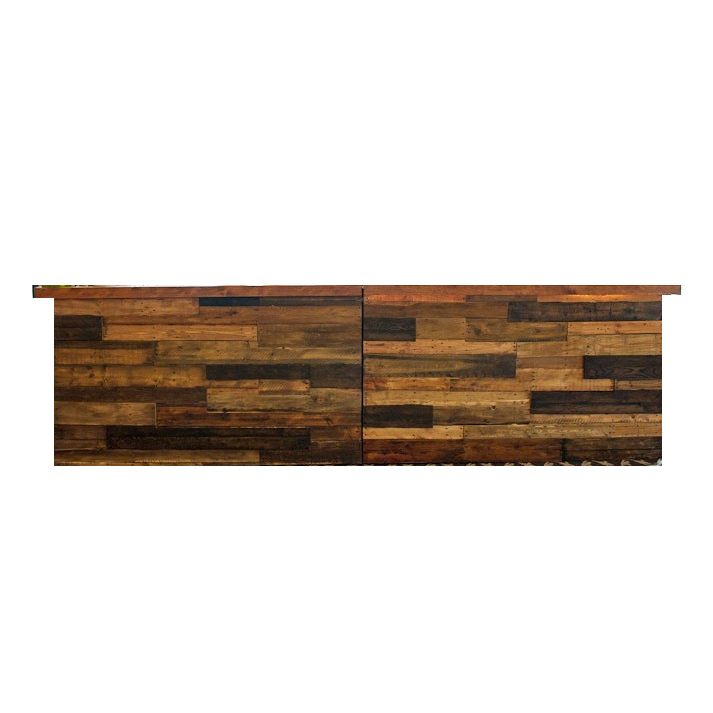 The Wood Plank Bar features beautifully textured wood in sectioned panels. The wood is naturally unique and it’s rustic design is sure to add charm. This bar is perfect for themed parties of country chic weddings. 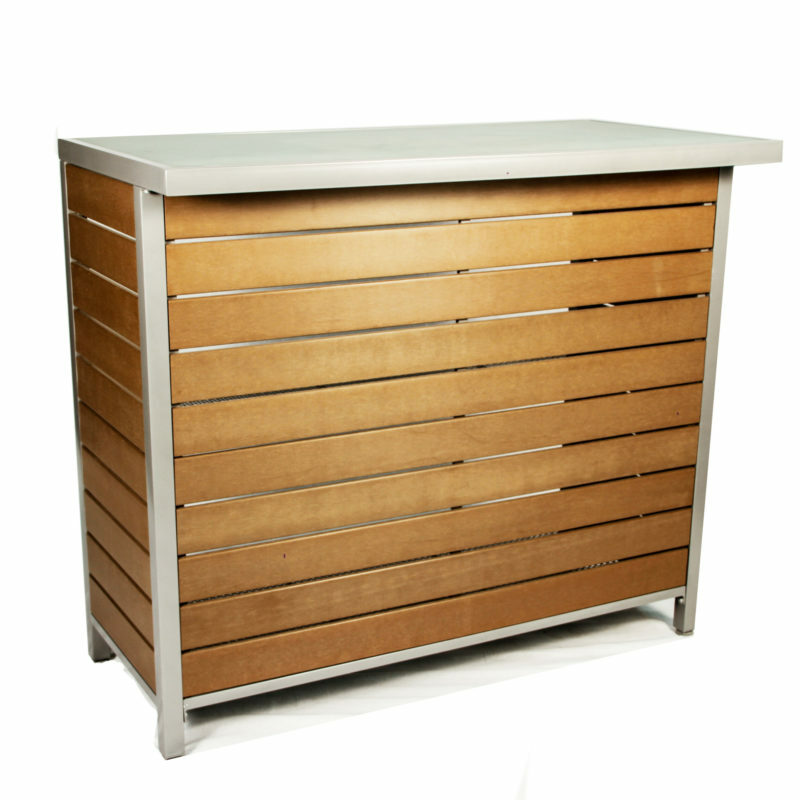 The Wood Slat Bar features beautifully textured wood in sectioned panels. The wood is naturally unique and it’s rustic design is sure to add charm. This bar is perfect for themed parties of country chic weddings. 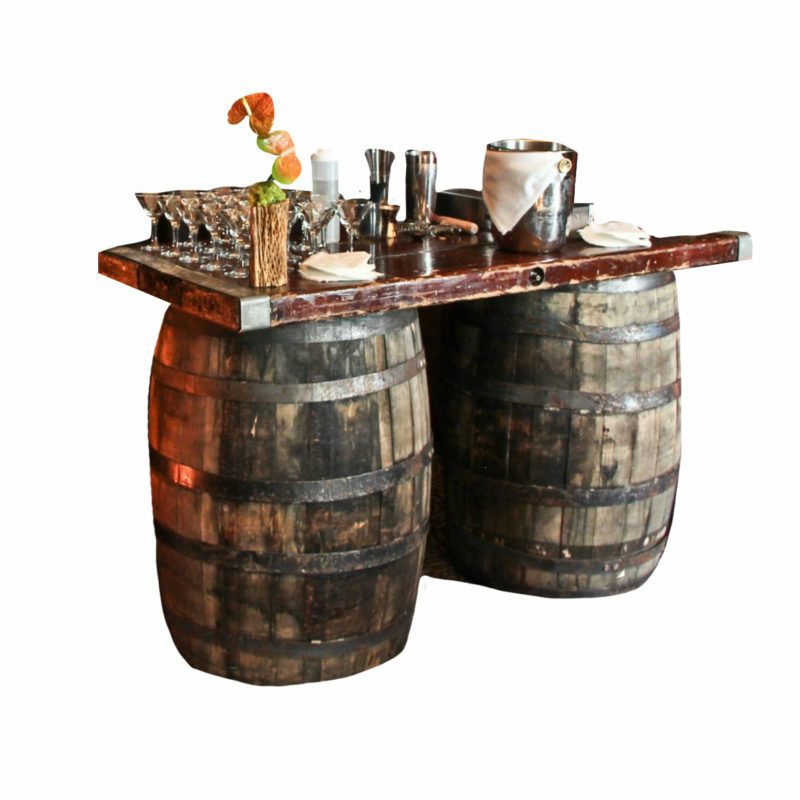 The Sawhorse Bar is a deconstructed bar you can add to, and make your own. The shelves on either side are a perfect place for foliage and accent pieces to enhance your theme. 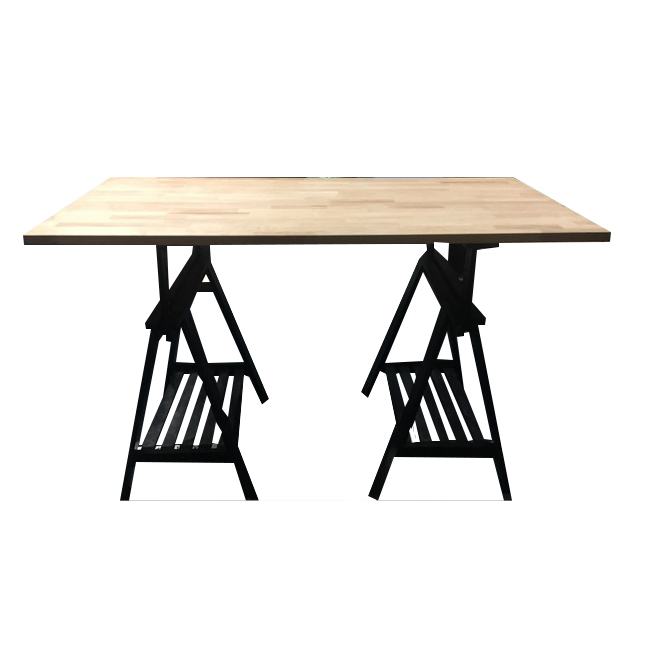 Comprised of a wood bar top and two saw horses, the bar is easy to move and also functions as a serving table. The Sock Hop Bar takes your guests back to the 1950's! This bar features chrome accents, hand painted decor and a fully functional LED lighting system under the railing! You're in control of the show via a remote control – let the lights cycle through a rainbow of colors or set your favorite for the night. The possibilities are endless! 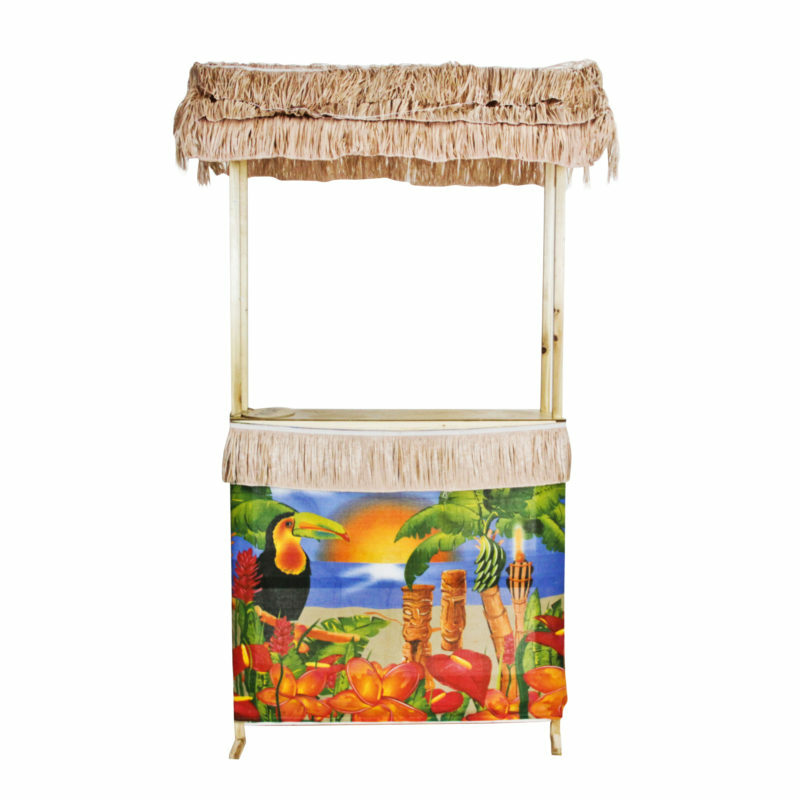 It’s tiki time with our Tiki Beverage Station – this piece is absolutely bursting with personality! This bar comes with an overhead thatched roof and accent fringe, as well as a vibrant tropical pattern on the base! Your guests will love your dedication to a good time, and their drinks, with our Tiki Beverage Station! Take your guests on a vacation with the Tiki Bar! 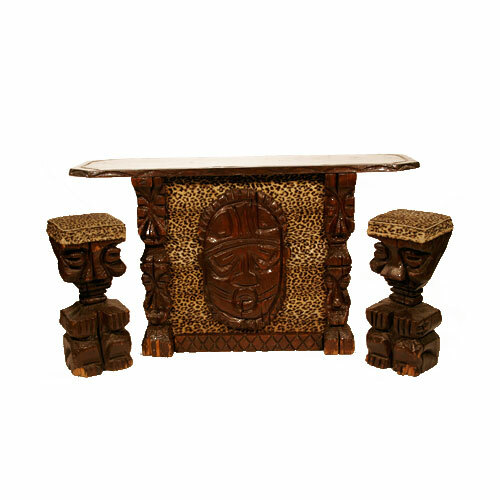 This piece has unique leopard print accents and comes with two stools for your guests comfort! Give your tropical themed party the extra thing it needs with Peter Corvallis Productions. The Cuban Barrel Drum Bar is perfect for your next Spring fundraiser! 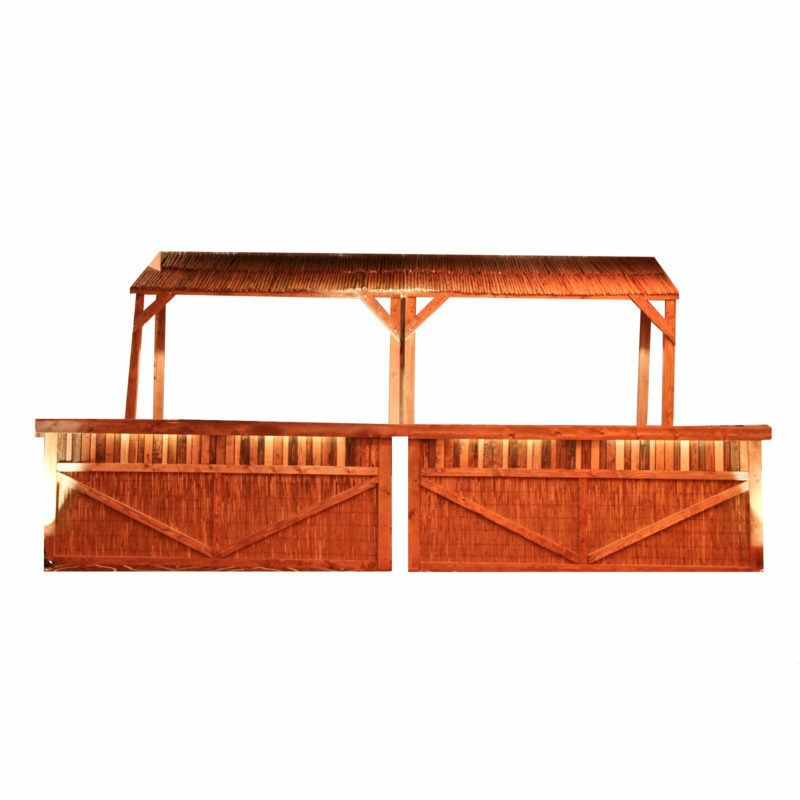 This bar features built in overhead shading, making it perfect for outdoor use! The curved base means it a great meeting spot for your guests and our one of a kind decor ensures you can't find this piece anywhere else! 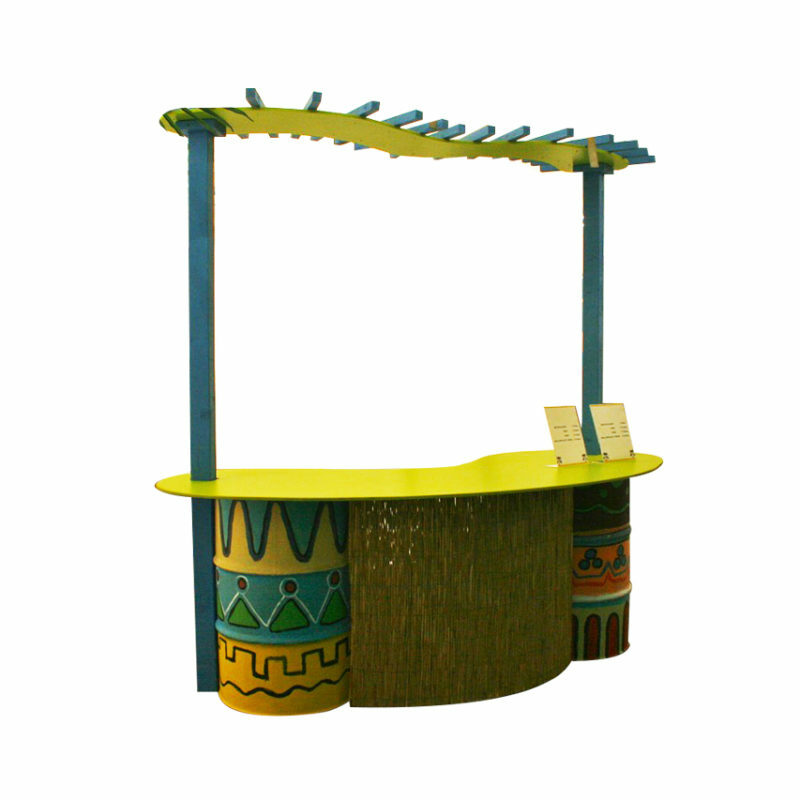 Take your guests on a vacation with the Tiki Bar Front! 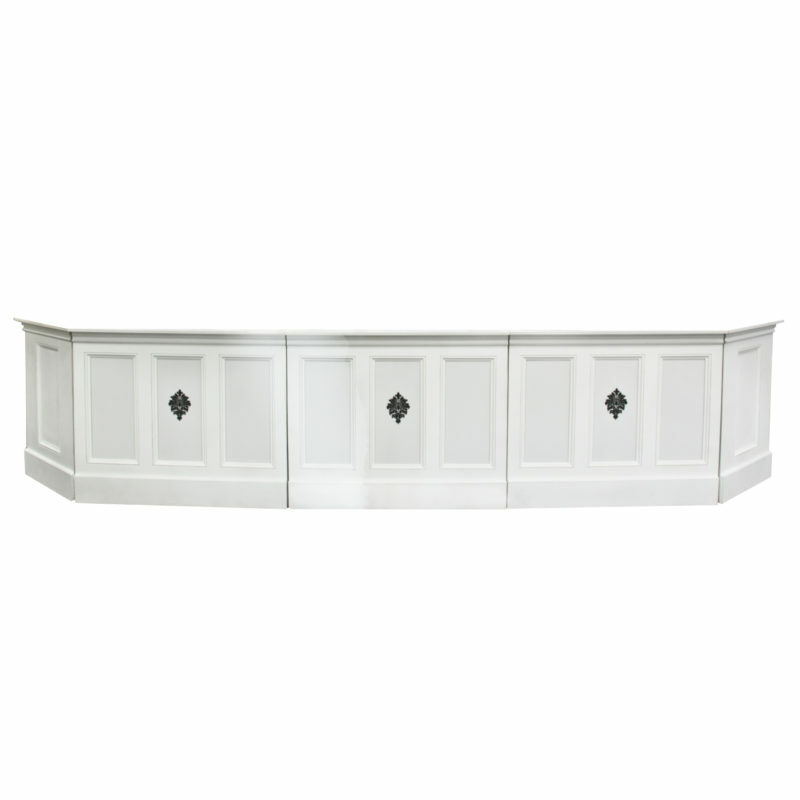 This bar option comes in 8′ L x 40″ H pieces, for a modular design. Also available with a thatched roof piece to complete the look, we offer a number of props and objects for a Hawaii or beach themed party! The Steel Pipe with Lights Bar Accessory is a great addition to any of our bars! This overhead fixture adds hanging lights and a flanged frame, converting any space into a night friendly rental!